The Society of Mary’s Mission Statement captures the original Marist call to mission in New Zealand: The Society of Mary exists in Aotearoa / New Zealand to proclaim the Gospel as Mary did so that it may be inculturated by the people of our time. The early Marist missionaries heard the call to proclaim the Gospel to ‘the utmost ends of the earth’, and in Aotearoa / New Zealand that meant a mission to be with Māori people, the tangata whenua, people of the land. Thus the early French Marists learnt Māori and adapted their message to ensure that the Gospel they lived and preached tuned in to the customs and spirituality of the indigenous people. Marists began their mission among Māori first in the far north of Aotearoa / New Zealand and then spreading south to Wellington and the South Island. That original focus is still present and members of the Society live and work alongside Maori in mission centred in Okaihau near Kerikeri and in Otaki, at Pukekaraka, sometimes called Marae o Hine (the Maiden’s Meeting Place) which was a site of the origin of the Wellington Church. Today, this call to mission among the tangata whenua involves an appreciation of the culture of Māori and looking for signs and expressions that ensure the Catholic Faith is deeply rooted in their lives by Maori themselves. 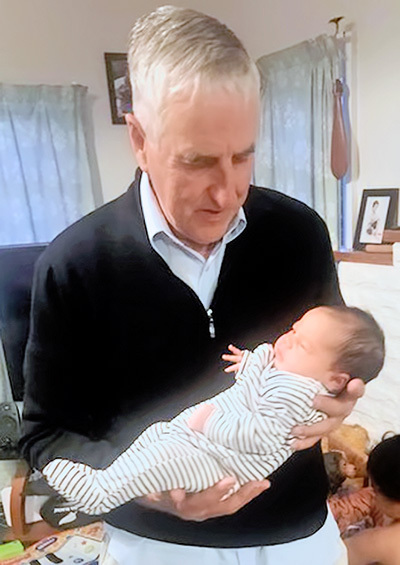 Two Marists have as their full time work a challenge to Whaia Te Whaea, (Follow the Mother,) a ministry centred in Taumarunui which reaches out to assist ‘Marist Māori Focus Units’ where Māori themselves inculturate the Gospel in their local area. Most Marists today do not focus their full ministry and life on Māori, however all Marists do what they can to ensure that they work in with local Māori and foster Māori in their parish, city ministry or other pastoral care. A practical way the Society sustains its focus, especially in a time when few of its members have the expertise and youth to be fully engaged in mission, is by ensuring that where it can, it will provide some financial assistance to ‘things Māori’. Marists have contributed to fund Māori pupils to such as World Youth Day, or the infrastructure needed to keep a Māori heart alive in the city. One focus for the Province today is to support where Māori themselves gather to celebrate being Māori and Catholic. One such is the Hui Aranga, the Easter gathering which annually rejoices in meeting to celebrate the Death and Resurrection of Jesus in action song, sport, oratory and liturgy.